East Coast Antiques returns to Rhode Island PBS on Sunday, October 2 at 3:30 p.m. The series is part reality television and part destination show, with host and series creator Mike Rossi acting as the guide on a behind-the-scenes tour through the twists and turns of the antiques world. As a licensed auctioneer, antiques store manager, and antiquities collector himself, Rossi brings a unique insider perspective to the new season. A television veteran with more than 25 years of broadcast experience, he is also the creator and director of the show. Traveling from festivals to flea markets, Mike and his crew of hunters put theory to the test as they buy and sell, wheel and deal, haggle and handshake. Along the way, antiques insiders – including Rossi himself – share observations from their booths and shops up and down the east coast. 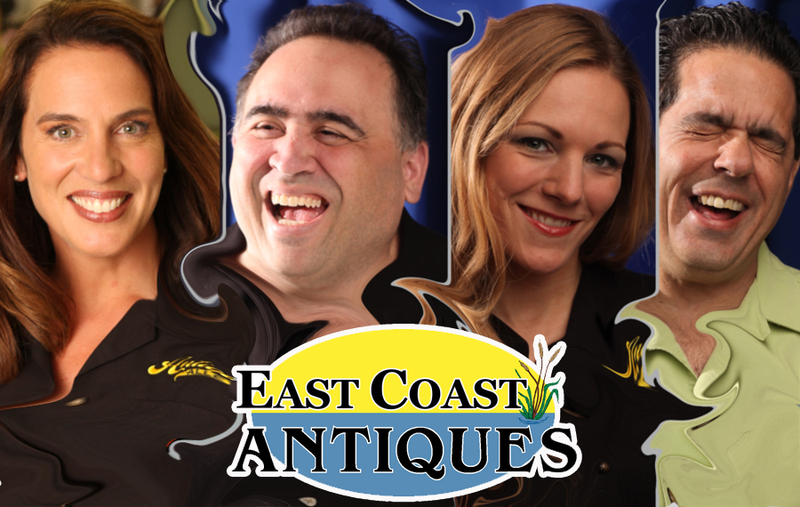 East Coast Antiques presents the people and items that continue to make collecting antiques one of the hottest pastimes today. This season of East Coast Antiques will air on Rhode Island PBS on Sunday afternoons at 3:30 p.m. In addition to Mike Rossi, the returning cast includes antiques dealer Steve Mariorenzi, Jolie Stewart, and first season host, Margie O’Brien. Amy Miksis is the newcomer to the cast this season. Large or small, one-time or recurring, individual donations are the largest source of financial support for Rhode Island PBS. The station hosts a variety of fund raising events throughout the year to boost opportunities to donate and to offer fun and rewards to you for your loyal support. 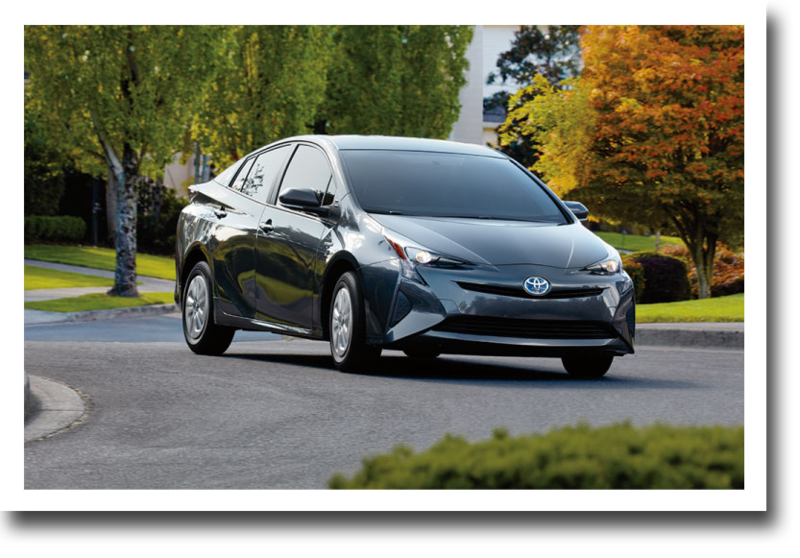 Among the favorite events each year is the annual Benefit Auction, which, for almost 20 years, has featured a vehicle donated by your New England Toyota Dealer. This year’s Rhode Island PBS Benefit Auction features the 2016 Toyota Prius Two Hybrid. If you are in the market for a car, this fun-to-drive vehicle is loaded with standard features, is technologically advanced, safe, and environmentally friendly. Put yourself behind the wheel of this car by being the winning high bidder. Plus, you know your winning high bid supports the shows you love to watch on Rhode Island PBS. Win-Win! Poldark and Sherlock on Masterpiece, Great Performances at The Met, Doc Martin, Call the Midwife, Antiques Roadshow. These and so many other national and local programs and series are the shows you tell us you love to watch week after week on Rhode Island PBS. These shows are only possible thanks to financial support from you and public television viewers like you. The Rhode Island PBS Benefit Auction opens on Monday, October 3 and closes on Sunday, October 23 at 8 p.m.
Let us know if you have any questions. Spread the word about the Benefit Auction to your family and friends, especially those looking for a new set of wheels! Thank you for your support. Launching its 30th season as the flagship political affairs program on WSBE Rhode Island PBS, A Lively Experiment announces today that Jim Hummel will be the show’s new moderator. A Lively Experiment will also introduce a modified format. The changes begin Friday, September 23, 2016. "We are excited to have Jim as the program’s new host," said WSBE President David W. Piccerelli. "Jim’s award-winning background in investigative reporting and his inquisitive nature will stimulate lively debate and thought provoking conversation." The show’s freshened format will now include two to four panelists discussing local politics. New to the format will be introduction of a pre-produced interview or story package featuring content to be discussed by the panel. "I’m excited to be an integral part in the next chapter of A Lively Experiment’s nearly 30-year history," Mr. Hummel said. "Our team will continue to produce a must-see weekly premier political affairs program and, with the new format, more in-depth discussions to build on what makes Lively so unique." "We have found that our viewers want the show’s focus to be on Rhode Island politics and stories,” said WSBE Executive Producer David Marseglia. "The changes we are implementing will favor a broader range of local stories over national ones, giving viewers more of what they want to see. We believe the new format will benefit from Jim’s deep-rooted understanding of the Rhode Island political landscape," Mr. Marseglia added. Jim Hummel is executive director and senior investigator of The Hummel Report. Known for his WLNE-TV/ABC6 You Paid for It segments, Mr. Hummel spent 13 years as chief reporter for ABC6, and 13 years at The Providence Journal. In his career, Mr. Hummel earned the Radio and Television News Directors Association’s prestigious Edward R. Murrow Award for Investigative Reporting. Mr. Piccerelli also recognized outgoing moderator Dyana Koelsch in his remarks. “We sincerely thank Dyana for her role in guiding the show for the past five years. We appreciate her time and effort, and the professionalism and experience she brought to the show each week. We look forward to her continued insight and expertise as a guest on the panel," he said. "I have enjoyed being part of A Lively Experiment and look forward to returning as a panelist," said Ms. Koelsch. "The show has a proud history of informing and creating uncensored dialogue around the important issues impacting our state – something that is critically important given today's economic and political climate." Jim Hummel is only the fourth permanent moderator in the show's 29-year history. Radio broadcaster Steve Kass moderated the show from 1987 until 2005, when he accepted a position in then-Governor Donald Carcieri’s administration. James Hagan, former president of the Greater Providence Chamber of Commerce, moderated the show from 2006 until Dyana Koelsch took over in 2011. A Lively Experiment airs on WSBE Rhode Island PBS (36.1) Fridays at 7 p.m., with rebroadcasts on Saturdays at 7 p.m. on WSBE Learn (36.2), and Sundays at noon on WSBE Rhode Island PBS. Episodes of A Lively Experiment are available online on the Rhode Island PBS YouTube channel, usually the next business day. Viewers can also find A Lively Experiment on Facebook. WSBE Rhode Island PBS transmits standard-definition (SD) and high-definition (HD) programming over the air on digital 36.1; on RI cable: Cox 08 / 1008HD, Verizon FiOS 08 / 508HD, and Full Channel 08; on MA cable: Comcast 819HD and Verizon FiOS 18 / 518HD; on satellite: DirecTV 36, Dish Network 36. Since 1987, A Lively Experiment has provided fast-paced analysis of the week's political events in spirited debate, opinion, and commentary by news makers and opinion leaders. 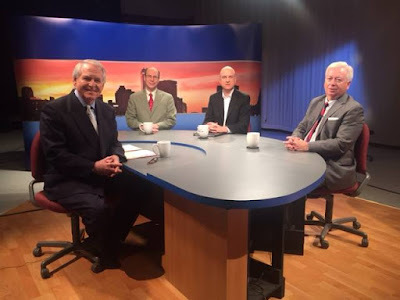 Representing independent and partisan viewpoints, a revolving panel of television, radio, print, and online journalists, political scientists, pundits, economists, elected and appointed officials, and other Rhode Island personalities examine local and state issues. A Lively Experiment’s popular segment, “Outrage of the Week,” typifies the essence of the show’s political commentary. This segment features an eclectic collection of each guest's single most significant issue, often under-reported failings and foibles of Rhode Island officials. As of June 2016, more than 30,000 Rhode Islanders didn’t have jobs and were actively trying to find work, according to the Rhode Island Department of Labor and Training (DLT). In April and May, nearly 4,000 jobs in the state disappeared, though 1,700 were added in June. At the same time, some Rhode Island employers say they can’t find qualified workers to fill their job vacancies. This divide is known as the "skills gap." On Thursday, September 29 at 8 p.m., we broadcast Bridging the Divide: Fixing the Skills Gap in Rhode Island, a one-hour interactive discussion moderated by Jennifer McCaffery, associate editor of Rhode Island Monthly. The program brings together the academic, private, and public sectors on one stage to explore solutions and map out strategies and plans for remediation. Audience guests will likely be seen on camera and should plan grooming and attire accordingly. Guests who do not wish to be on camera are invited to watch the taping from the reception room. Interested parties who may have a skills gap question for panelists but who cannot attend the taping are invited to email the question to marketing@rimonthly.com no later than Tuesday, September 20. Bridging the Divide: Fixing the Skills Gap in Rhode Island is presented by the Rhode Island Foundation, in conjunction with Rhode Island Monthly and Rhode Island PBS. Achievement gap grows, how do we resolve that? Some improvement but is it enough? Teachers Unions on board? If not, why not? Are they just a hybrid of Charter Schools? Should RI move towards MA education model? Some say it’s outdated. If so, how? Why are MA test scores considerably higher than RI? Are they realistic from a resource and cost perspective? Do enough teachers truly have the skills to teach CS? Could those $$ be used somewhere else with better results?